80% of what we eat is pollinated by insects. Creston neighbor, Caroline, reports on what we can do to reconstruct and preserve diverse insect habitats. 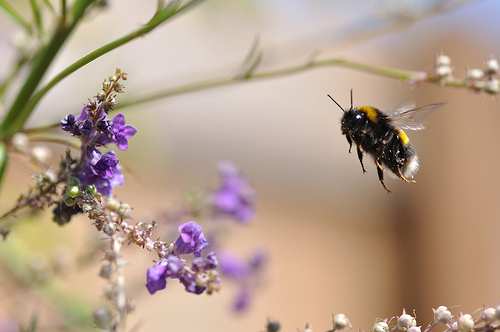 Most of us have probably heard about the dramatic decline of the bee population. More recently the sudden decline in the monarch population has also been in the news, but what about the health of other beneficial insects? Bees and butterflies are the recognizable, even understandable, insect stand-outs, but what do you suppose is happening with the rest of the insects—and why should you and I care? The health of many insects is hanging in the balance, and the loss of insects matters a great deal. Insects play a foundational role in the production of food (80% of what we eat is pollinated by insects, according to Dr. Spivak, professor of apiculture at the University of Minnesota. Insects also break down organic matter, and insects are the main food source for birds. But insects die off without their specific food supply plants. Beneficial insects thrive in diverse habitats, but those habitats are being lost to sprawling monoculture farm fields and bluegrass lawns as well as parking lots and roads. Well known herbicides are sterilizing land that once was thriving with plant and insect diversity. There are numerous organizations and individuals who have committed themselves to reconstructing native plant communities, one sterile lawn or farm field at a time. According to Dr. Tallamy, professor of entomology and wildlife ecology at the University of Delaware, we can’t continue to wage war on the homes and food supplies of other animals, if we have any hope of coexisting with them into the future. The great news is this: Anyone with a garden or yard can help to slow down this crisis by planting an array of native plants, coaxing life back to the soil with native plants (without using herbicides) while supporting the habitat of diverse native insects (without using insecticides). Living Green in Creston recently held a well-attended native plant workshop for the neighborhood. There are clearly many great reasons for planting natives: They help reduce storm water runoff, they contribute to a healthy, diverse ecosystem, and they beautifully supply food and shelter to beneficial insects that are foundational to our food supply. Track us on E-news and Facebook for Living Green’s upcoming Monarch Butterfly Waystation Celebration in Briggs Park!